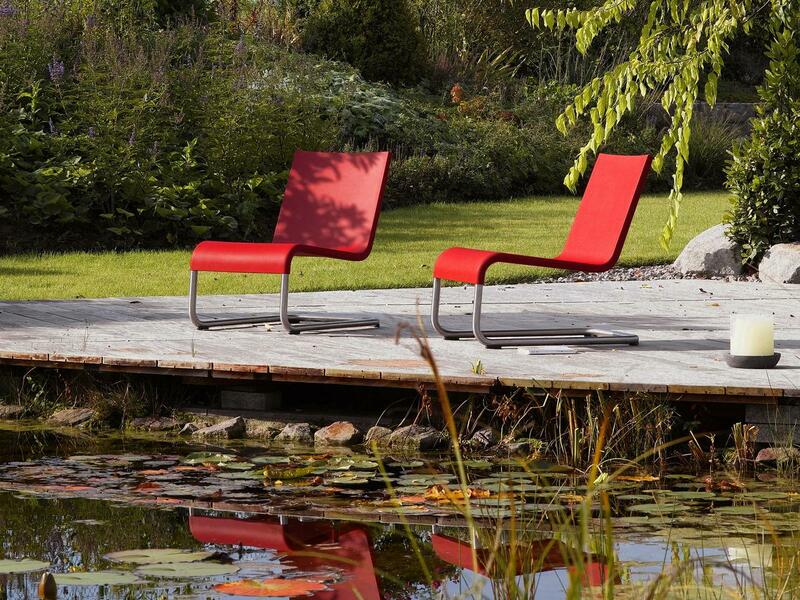 Cantilever chairs are among the most groundbreaking innovations in furniture design in the 20th century. 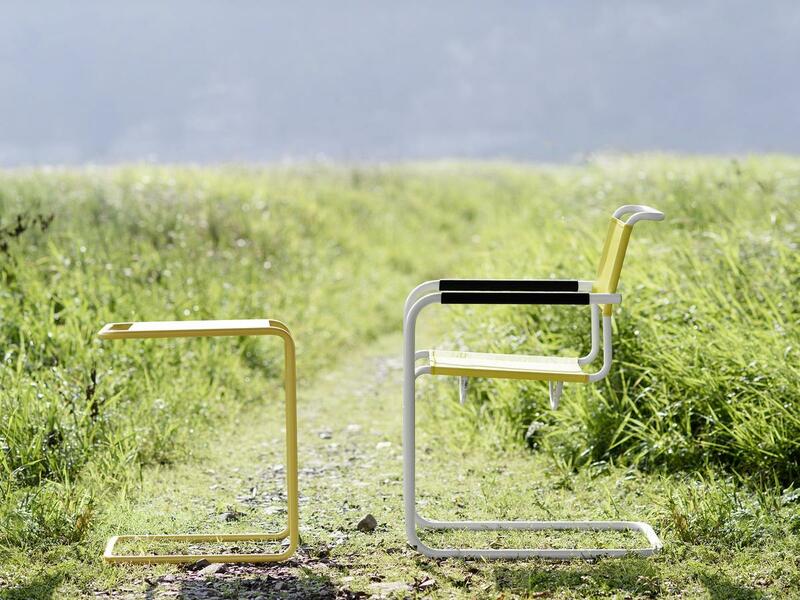 A novel type of furniture in which an S-shaped tubular steel frame carries the chair, the cantilever arose in the 1920s and is particularly associated with Bauhaus. Through the elimination of the rear legs cantilever chairs transform the mass of the sitter into a gently swing, and thus offer very high seating comfort. Well-known Bauhaus designers such Marcel Breuer, Mart Stam or Ludwig Mies van der Rohe were the first to experiment with the new construction method. Decades later the construction culminated in the development of the Panton Chair, which was the first plastic cantilever chair and was the result of years of dedicated collaboration between Verner Panton and furniture manufacturer Vitra: the realisation of Panton's vision marking a small revolution. In addition to Thonet cantilever chairs made of bent tubular steel and the Panton Chair, there is today a wide range of cantilever furniture, including stools, loungers, armchairs and sofas, all of which are based on their own interpretation of the same basic principles. 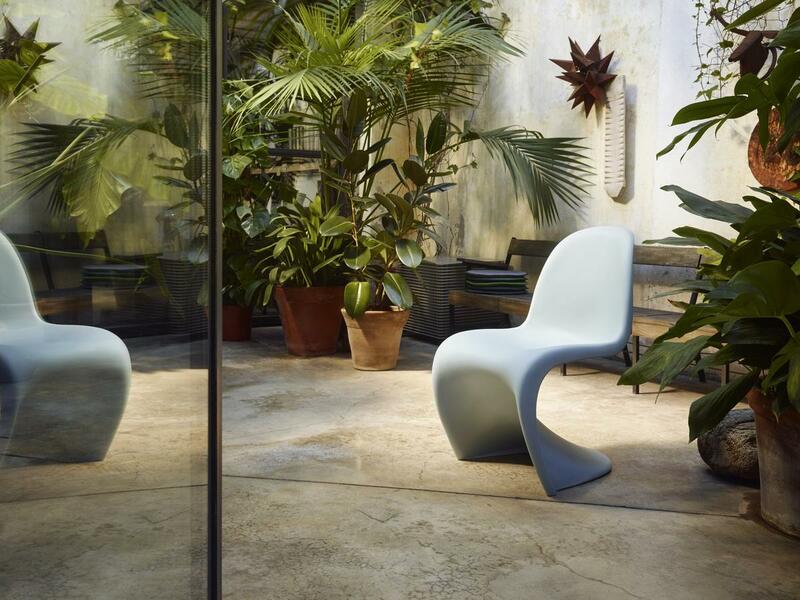 Verner Panton's cantilever chair is available in numerous versions: In addition to the original Panton Chair Classic, Vitra also produces the Panton Chair from through-dyed polypropylene, a children's version, the Panton Junior, and occasionally releases special editions, such as the 2018 anniversary of the Panton Chair Chrome and the Panton Chair Glow. 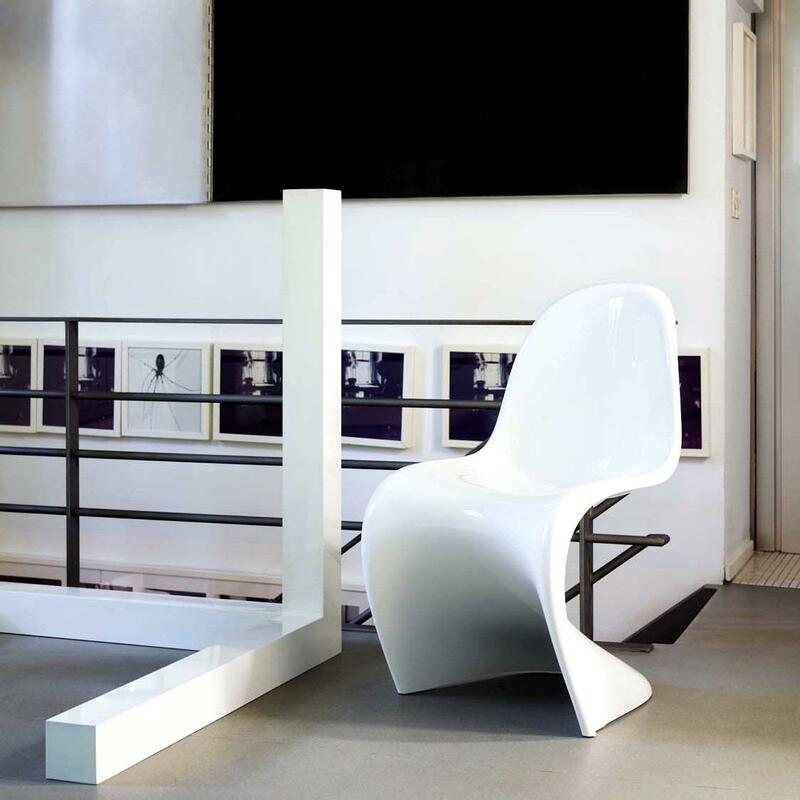 With Maarten Van Severen's .06 lounge chair or the HAL cantilever by Jasper Morrison Vitra is now also producing a number of other cantilever chairs, chairs which perfectly compliment Panton's masterpiece. 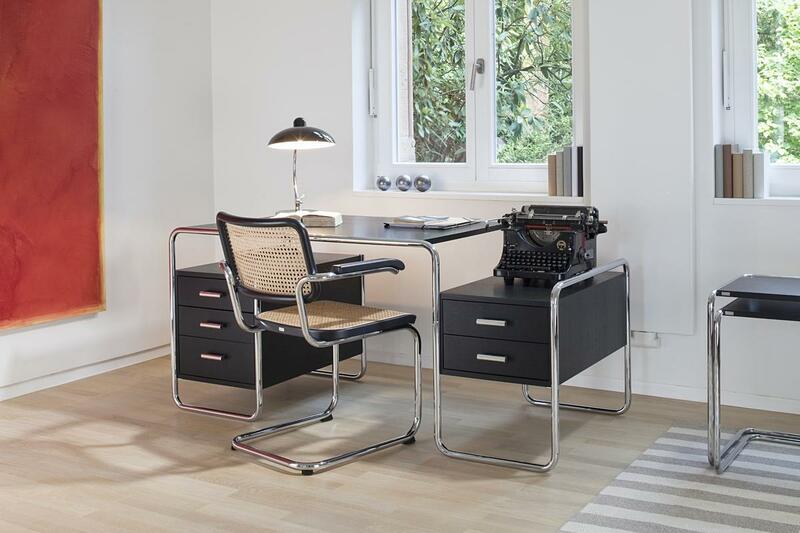 Thonet's Bauhaus classics are also available in many colours and variants. 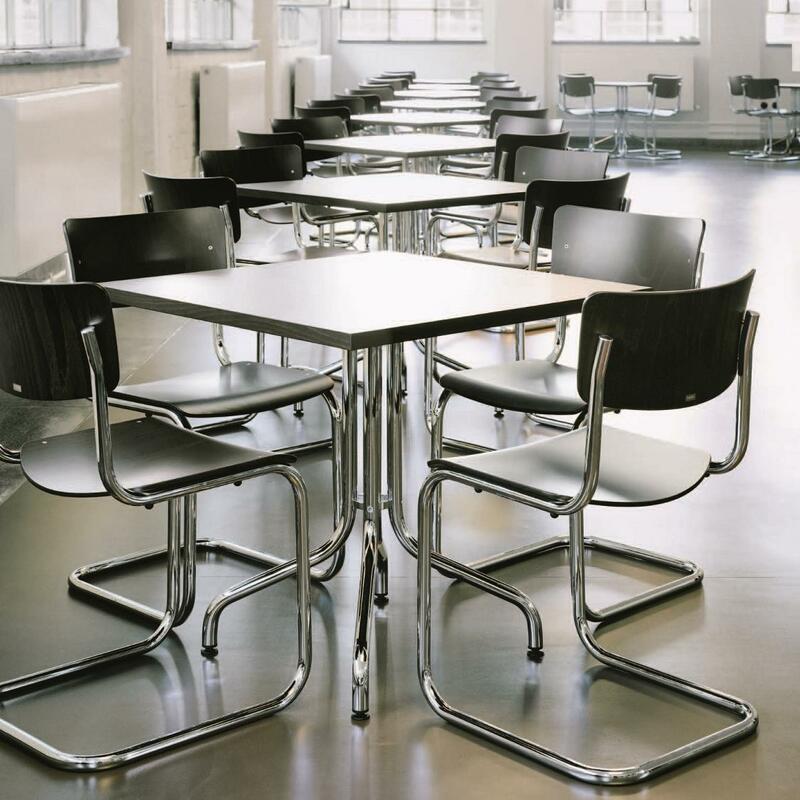 The cantilever chairs by Thonet and Vitra are true all-purpose objects and can be used not only in the domestic or conference area, but also outdoors.